A very fine wine, indeed! Rich and aromatic , it has apple, pear with stone fruit, walnuts, with a touch of honey and slight sherry-like aromas and flavors with a chalky minerality. Pair baked white fish, smoked trout, caviar, shellfish. 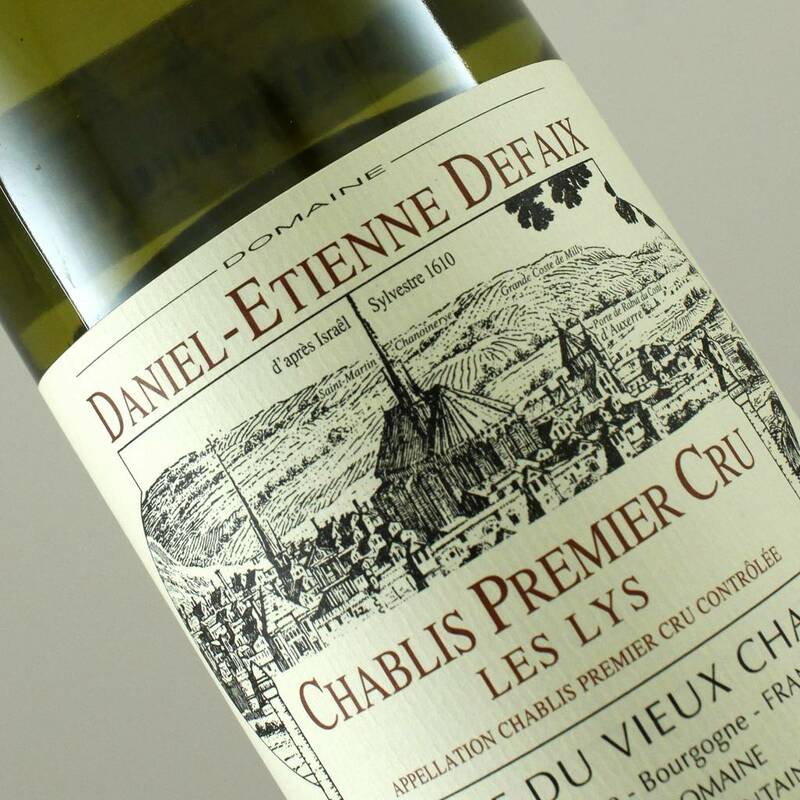 The Les Lys Premier Cru belonged to the monarchy at one time, the Lys (lyli) flower being the symbol of the monarchy. This wine is 100% Chardonnay. A very fine wine, indeed! Rich and aromatic , it has apple, pear with stone fruit, walnuts, with a touch of honey and slight sherry-like aromas and flavors with a chalky minerality. Pair baked fish, smoked trout, caviar, shellfish.